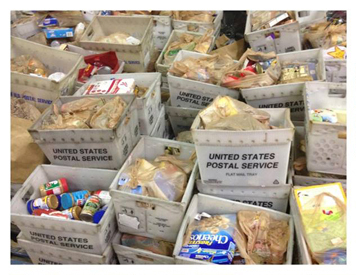 The 22nd Annual Stamp Out Hunger Food Drive generated enough food to fill thousands of bins with food! Several hard working charities who impact hunger year round were blessed to be the recipients, including Food4Kids! Thank you to everyone who put food out by their mailboxes and to the letter carriers who worked extra hard filling their trucks with mail & food!